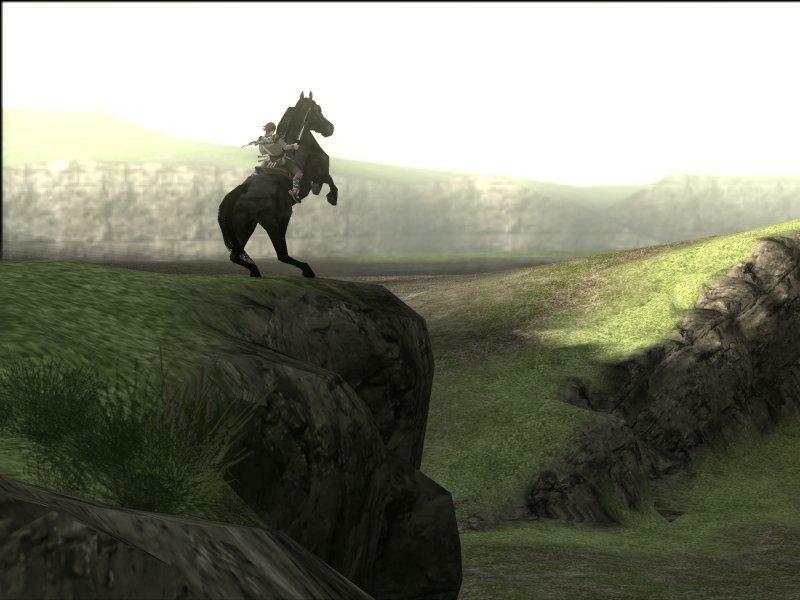 I finished playing Shadow of the Colossus a few days ago, and it was amazing. This review is the best description I’ve read, but these screenshots alone might be enough to convince you to play it. The main reason I play games is immersion. I’m happiest when a game is so convincing, the screen and controller melt away and I feel like I’m truly inside the game world. Books and movies often suspend disbelief in the same way, but since they’re interactive, good games can do it like no other medium I know. Given that, Shadow of the Colossus is one of the most immersive experiences I’ve ever had. There’s surprisingly little to it, but it’s executed with such startling focus and purity that it far surpasses other games. The game world is desolate, beautiful, and utterly convincing. Birds wheel in the sky, waterfalls roar in the distance, and clouds slowly move across mountains on the horizon. It’s a single, sprawling expanse, and you can go anywhere you can see. I spent a couple hours just wandering the mountains, deserts, canyons, lakes, and forests that make up the landscape. The colossi themselves are massive, and fighting them is breathtaking. You actually feel like you’re clinging to a living, breathing creature the size of a 10-story building. The ones based on animals are particularly amazing. I won’t soon forget hanging onto one colossus’s wings in midair, or clutching another’s fins as it dove underwater. 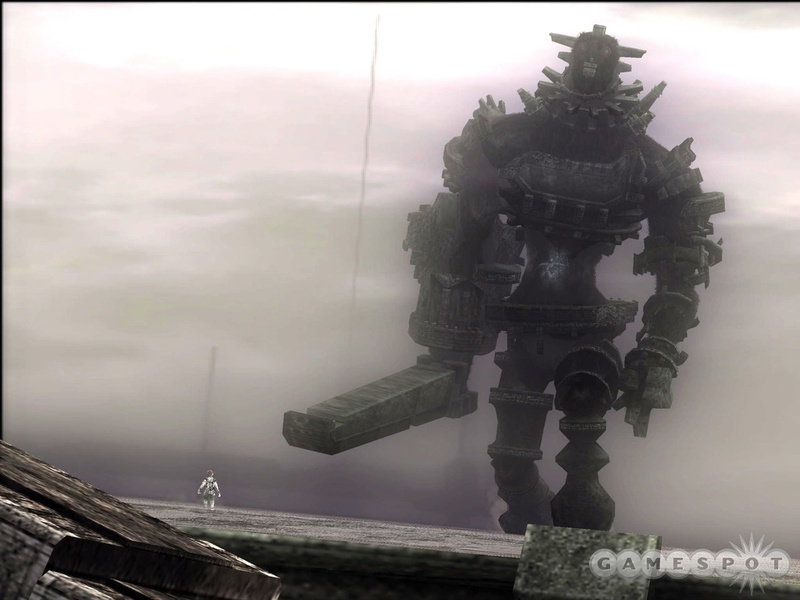 Shadow of the Colossus was made by the same people who made Ico, and like Ico, it’s one of only a few games that I can unabashedly call a work of art. It’s unforgettable. Update: Sony’s engineering team recently talked at length about SOTC’s graphics and the effects they used, including (pseudo) HDR, motion blur, fur shaders, and extreme LOD rendering for terrain. It’s a great read, very candid and in-depth. 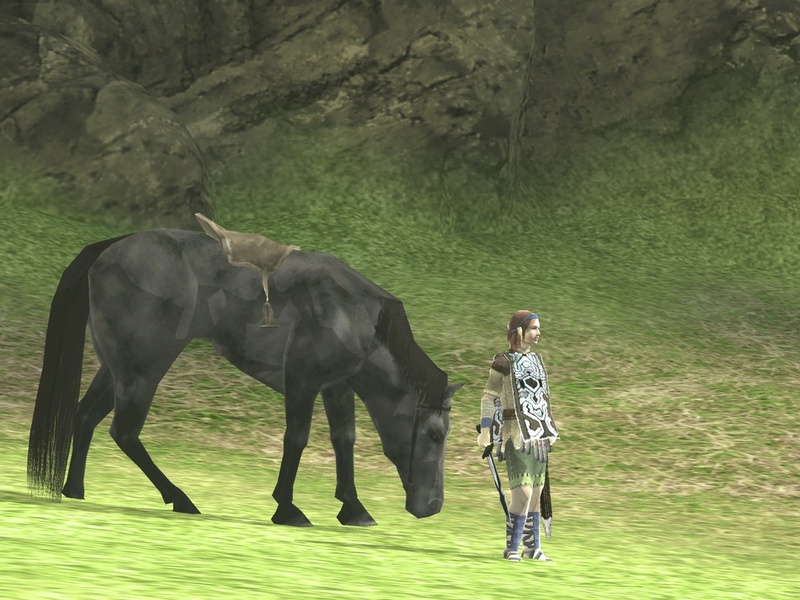 i rarely even finish most games i play, much less replay them, but thanks to the the remastered ico and shadow of the colossus collection, i recently played through ico again and i’m a few hours into shadow of the colossus. the graphics and design do show their age, but i still love them both for all the same reasons. i also forgot how hard they can be! i love games, and i’ve played them for a long time, but – with a few exceptions – i’ve never actually gotten any good at them. games are hard, let’s go shopping, indeed.